French midfielder Adrien Rabiot, who is currently under contract to Paris Saint-Germain in France, joined the club July 1, 2012. 25% of Paris Saint-Germain's football players are left footers and so is Adrien Rabiot. The 24-year-old footballer was born on April 3, 1995 and is therefore two years younger than his team's average age. At present, Paris Saint-Germain is leading in UEFA Champions League (group C), in 16th place in Int. 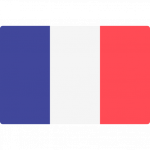 Champions Cup, while in Ligue 1 (France) they are leading. Standing 1.88 meter high, Adrien Rabiot is larger, when looking at the average height in his team. He had 25 match appearances this season. He weighs 71kg which is 4kg less than his team's average heftiness. Six years and 10 months was the maximum period Adrien Rabiot ever played in a team, which is his latest one. 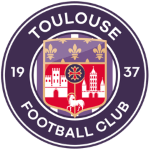 The briefest time his spent on a team counts five months in Toulouse FC (France). While being substituted more in than out this season, the contrary occured the year before. Moreover, he shows 56 out and 72 in substitutions in total. In terms of top seasons, the Ligue 1 17/18 (France) was Adrien Rabiot's best one yet, breaking two personal records in terms of not only assists but also appearances. At Paris Saint-Germain, he is the owner of strip number 25. He is enjoying a great Ligue 1 18/19 (France) season so far, netting twice (2.2% of his team's sum) and initializing two goals. This leads to roughly 0.08 assists and 0.08 scores per match in the resent season. One could say he translated to a slighlty diminished form compared to last year yielding a per-match-quota of 0.11 goals and 0.19 assists. From his professional start until now, Adrien Rabiot has performed in 260 matches in total and hindermost appeared 122 days ago. On average, he has participated in 7 matches per season. His portfolio includes one accidental own goal, which happened with Paris Saint-Germain in a match of Ligue 1 18/19 (France). Prior to joining Paris Saint-Germain, he played for Toulouse FC. 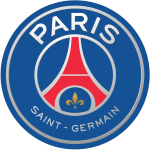 Adrien Rabiot is playing as midfielder in Paris Saint-Germain together with Julian Draxler, Angel Di Maria, Christopher Nkunku, Thomas Meunier, Stanley N'Soki, Azzeddine Toufiqui, Marco Verratti and Leandro Paredes. Concerning the latest matches, his club won in UEFA Champions League, lost in Int. Champions Cup plus won in Ligue 1. Throughout his time as professional football player, he was sanctioned with a card 29 times resulting in a mean value of 0.78 cards per play time. This season he was given just three yellow cards.